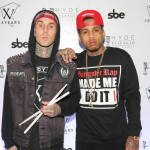 Last night, Blink-182 drummer Travis Barker and rapper Kid Ink collaborated for a high-powered set at Hyde Bellagio in Las Vegas in celebration of the 15th anniversary of Barker’s clothing line, Famous Stars and Straps. 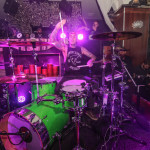 The world famous drummer was joined for the celebratory performance by up-and-coming rapper Kid Ink, who last month earned his first gold plaque from the Recording Industry Association of America for his smash hit single, “Show Me” featuring Chris Brown. 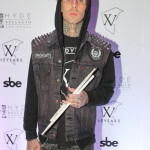 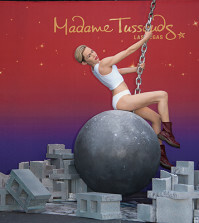 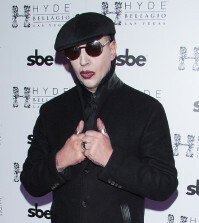 Barker founded his punk/hip hop-influenced lifestyle brand Famous Stars and Straps in 1999, and February 2014’s MAGIC MARKET WEEK in Las Vegas marked 15 years of success for the clothing line. 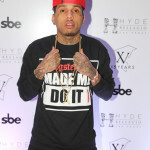 Kid Ink hyped up his set with Barker before the anniversary party,tweeting to his fans, “#Vegas Tomorrow Night! 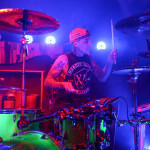 Me + @TravisBarker Live! 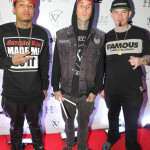 #Agenda #Famous #Alumni pic.twitter.com/YYyfY7t4Fd”. 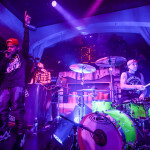 With Barker on the drums and DJ Eric D-Lux manning the turntables, Kid Ink belted out hit songs including “Time Of Your Life,” “Main Chick” and “Show Me.” Paul Wall also joined the set for a live collaborative performance of his own new song “Gettin Tho’d” which features Kid Ink. 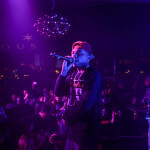 After rocking the nightclub with a dynamic set, Barker joined his Famous Stars and Straps brand partners at his VIP table to toast to 15 years of success. 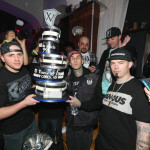 To mark the occasion, Hyde’s staff surprised the crew with bottles of champagne and an elaborately-decorated themed cake. 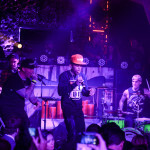 The group celebrated into the early morning hours while Hyde’s Tuesday night Lost Angels Industry Night kept the party going all night long.